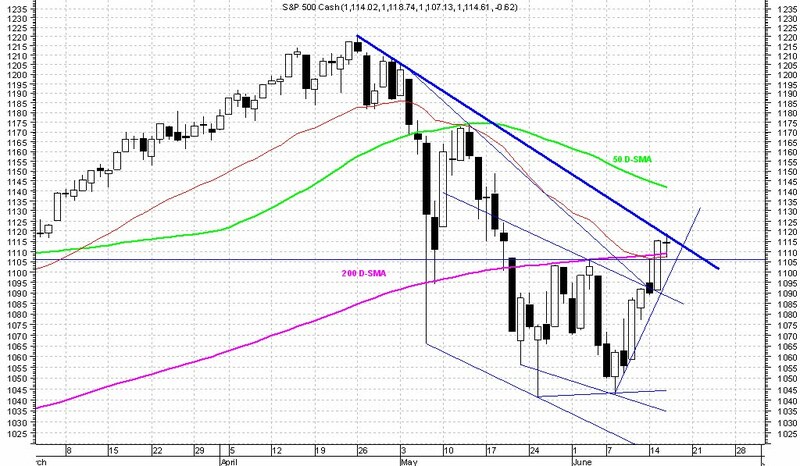 SPX hit the primary downtrend line today (thick blue line). 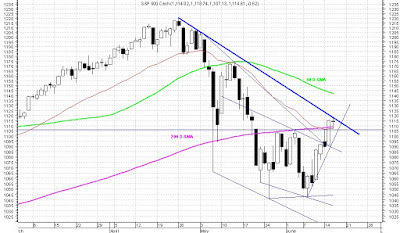 This trend line should turn SPX back and forcing it heading south again. A solid close above this line (i.e. SPX closing at 1120 or higher) would very likely push SPX higher to its 50 D-SMA, around 1140 (green curve). If this Market is heading substantially lower, it should start that way tomorrow. Disclaimer: The views expressed are provided for information purposes only and should not be construed in any way as investment advice. Furthermore, the opinions expressed may change without notice.